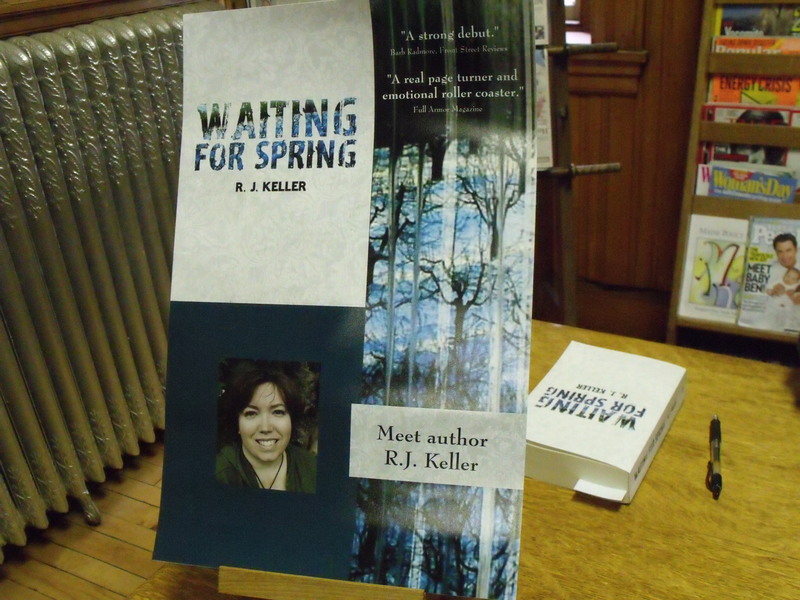 Earlier this afternoon, the Stewart Free Library in Corinna held a reception/book signing for Waiting For Spring. 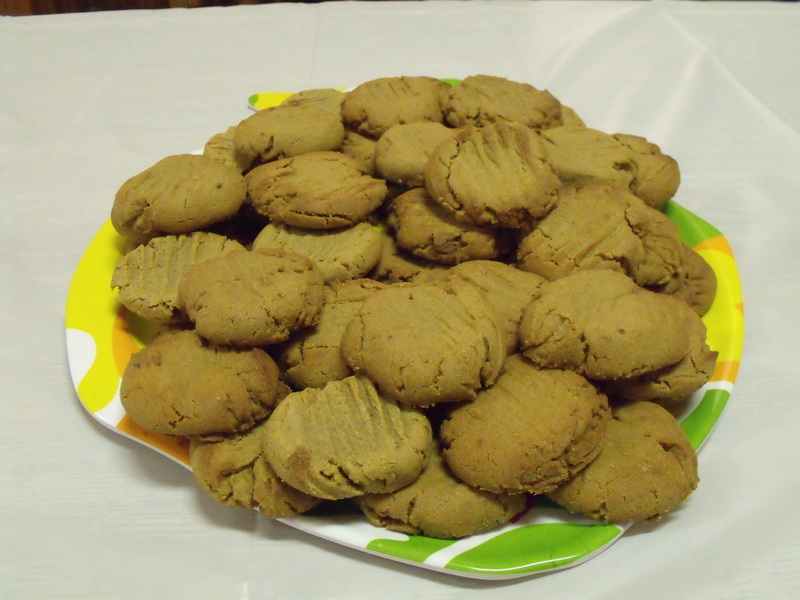 We lured people in with Hubby's homemade peanutbutter cookies. Nom! Puttin' down my John Hancock. 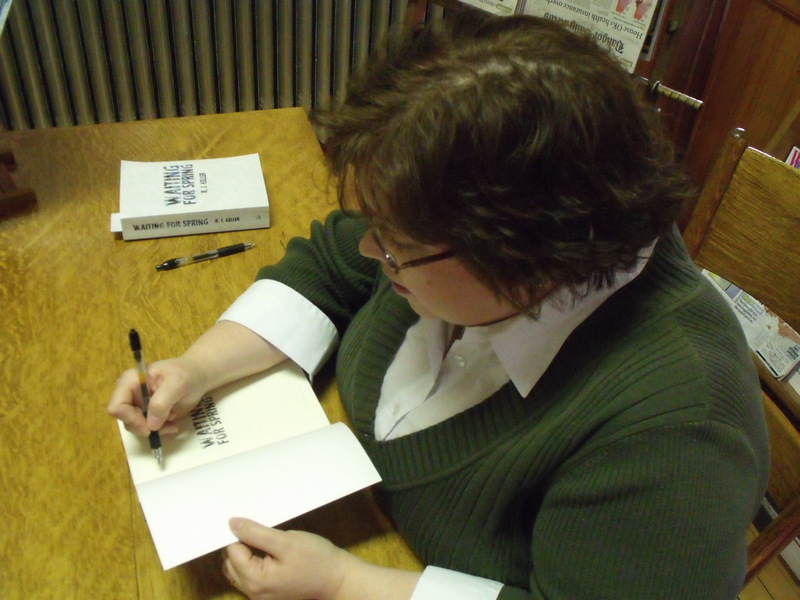 A great, big thanks to Donna Lambert, Librarian Extraordinaire, for hosting the event. That is an awesome library building; that’s how libraries all should look. And the books and cookies both look delicious. I’m with Ing. That’s a gorgeous library. You look so author-y! I think it’s the nice nose. Those cookies look yum yum yummy. I’ll have to get some pictures of the inside of the library. It’s amazing!